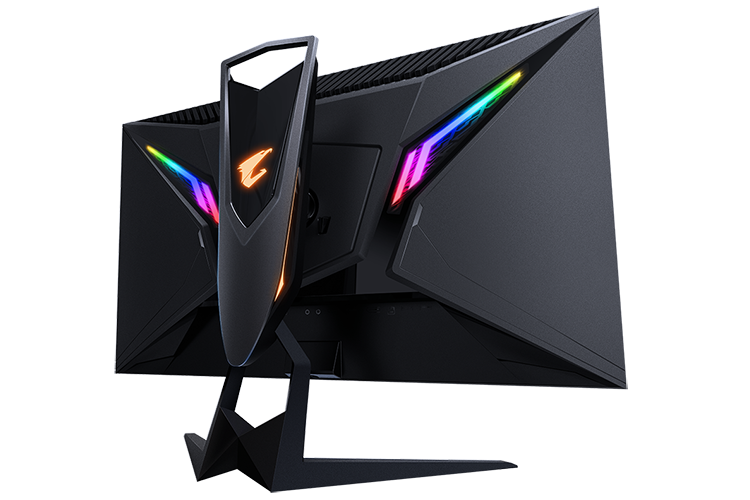 Eyebrows were raised when Gigabyte first announced plans to form a new subsidiary dedicated exclusively to high-end gaming products, but credit where it's due, in the space of five years Aorus has become a serious player in a lucrative market. The firm's success has been built around products with a clear gaming focus, and we've been happy to recommend various Aorus graphics cards and motherboards in recent years. 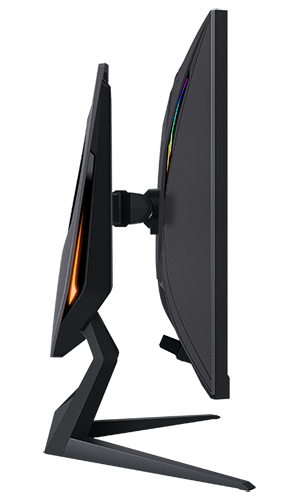 Hoping to keep the momentum going, 2019 sees the launch of the first Aorus gaming monitor, the AD27QD Tactical Display. True to form, this 27in panel has a few tricks up its sleeve to help differentiate itself as a gaming solution first and foremost, and we've been able to spend the last week putting it through its paces. On paper, the AD27QD has plenty of promise, and rightfully turned heads at CES last week. 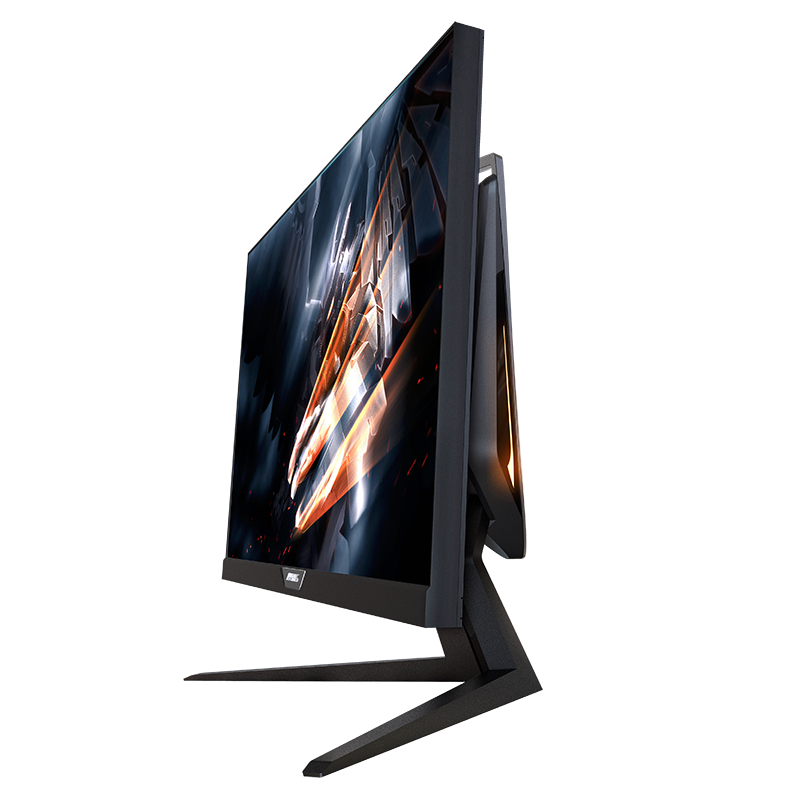 For £535, you're getting a 27in IPS panel touting a 2,560x1,440 QHD resolution and FreeSync support at up to 144Hz. A healthy start, and Aorus throws in HDR support, a 1ms response time, and claimed coverage of 95 per cent of the DCI-P3 colour space. Aorus tends not to be shy in producing gaming gear that looks like gaming gear, and that's no bad thing as you know what you're getting. 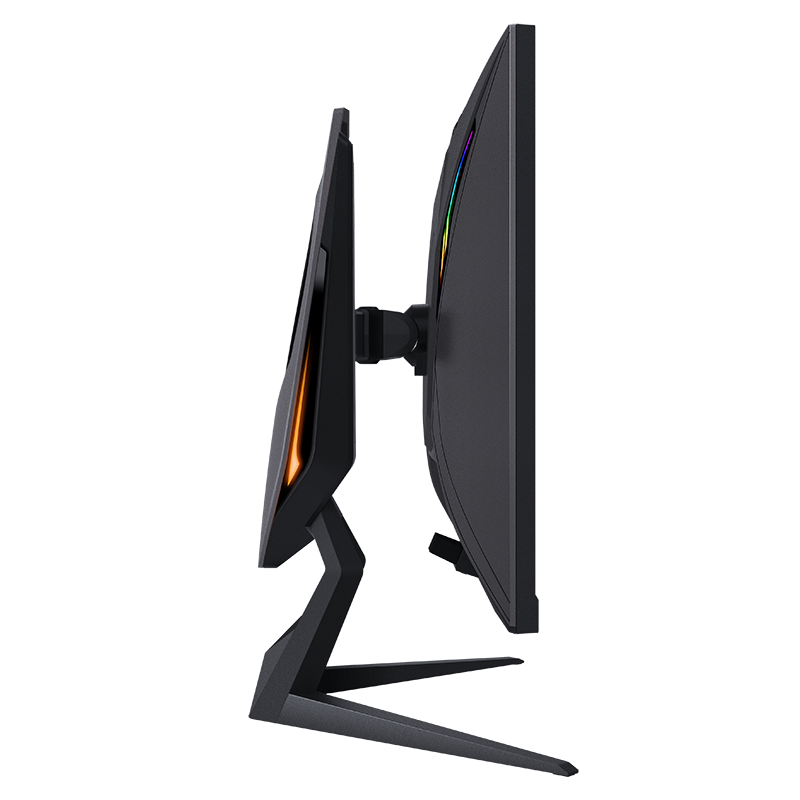 Want a sleek monitor that goes unnoticed? Look elsewhere, as the AD27QD has bling and aggression in equal measure. The stand's sharp metal edges could double as an effective weapon, because the back of the panel looks like something from a sci-fi flick, and of course there's plenty of RGB lighting. Truth be told, the lighting does nothing for us, and with the RGB zones being restricted to the back of the panel, we hardly ever notice it's there. But each to their own; if you're partial to synchronised lighting and cute effects, there's plenty of customisation available through the Aorus app, it's just a shame the illumination isn't bright enough to serve as ambient lighting, so don't expect anything as bright or reactive as Philips Ambilight. You're either going to love or hate the way the monitor looks, but whichever side of the fence you fall on, there are design elements that everyone will appreciate. The stand, for example, may look outlandish but attaches to the arm using just one screw, incorporates a nifty carry handle and doesn't skimp on functionality. In addition to having the ability to pivot into portrait mode, there's 130mm height adjustment, -5º/+24º tilt, and 20º swivel. If you somehow still can't find the sweetspot, the entire stand is easily removed to reveal a 100mm VESA mount. On the whole, Aorus has done a decent job in terms of construction and build quality, but there is room for improvement. Though the product shots seem to suggest a near-borderless frame, the on-screen image is some 9mm from the edge, resulting in a slightly thick border, and the power LED sat at the centre of the bottom edge looks cheap compared to the rest of the panel. Fortunately, said LED can be turned off completely via the on-screen settings menus, which happen to be controlled via an intuitive joystick located just behind the Aorus logo. At first glance the AD27QD feature set appears too good to be true. You expect to pay similar money for a 27in QHD panel supporting FreeSync at 144Hz, yet in this case you're also getting HDR and a 10-bit colour, so what gives? Well, as is often the case, manufacturer specifications should be taken with a pinch of salt. True, the AD27QD does support HDR, but only achieves the most basic DisplayHDR 400 certification. That means the panel meets the minimum requirements for colour gamut while offering peak luminance in excess of 400 cd/m2, but don't expect local dimming, true 10-bit image processing or piercing brightness. The HDR experience could be better, but given that HDR on the PC is very much a work in progress, this doesn't feel like a major omission. As expected, Aorus achieves 10-bit colour by using an 8-bit panel and frame-rate control dithering, but the end result is nonetheless impressive. Outside of HDR capabilities, the AD27QD has the makings of a stellar gaming solution. 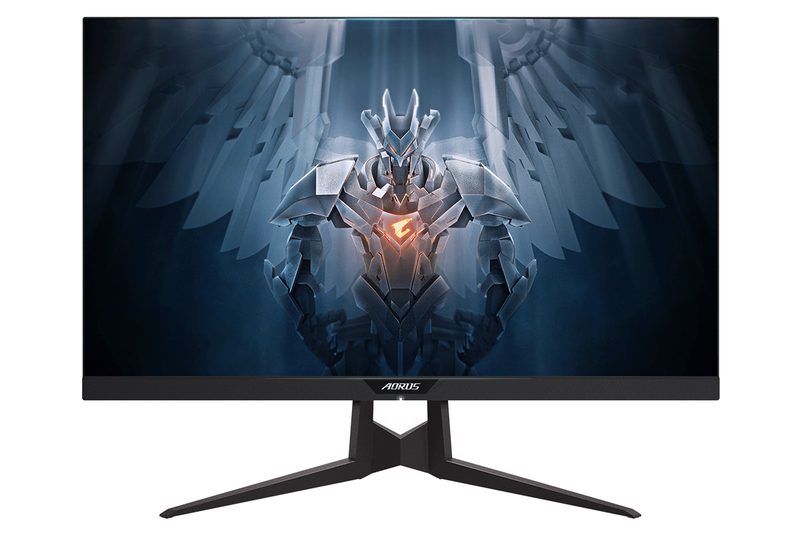 A 2,560x1,440 resolution is a fine fit at this screen size, the IPS panel delivers excellent viewing angles and accurate colours, and if it's smooth gameplay you're after, Aorus touts a 1ms MPRT (Moving Picture Response Time) and FreeSync support in a wide 48 to 144Hz range. The panel doesn't have the HDR chops to qualify for FreeSync 2 certification, yet does support Low Framerate Compensation for minimal tearing and judder when the going gets tough. 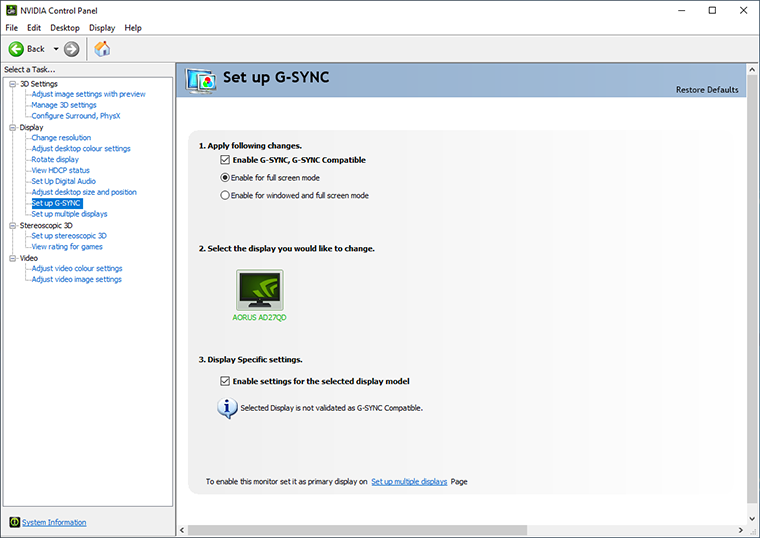 Curious to know whether or not the display supports G-Sync via Nvidia's newly announced compatibility program? The AD27QD isn't officially certified as G-Sync Compatible, however it is possible to manually enable G-Sync with excellent results. 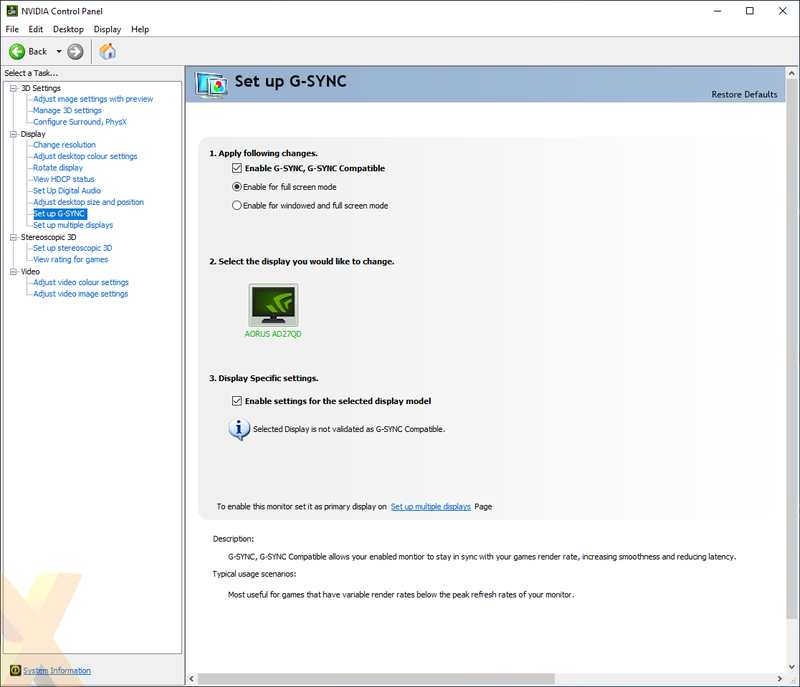 Simply ensure FreeSync is enabled via the OSD, install the latest GeForce 417.71 driver, then enter the Nvidia Control Panel and tick both 'Enable G-Sync' and 'Enable settings for the selected display model.' Hit apply and the panel will quickly refresh to return with adaptive sync switched on. Given Nvidia's warnings of an inferior experience, we were half expecting the panel to throw a wobbly, but that simply wasn't the case. 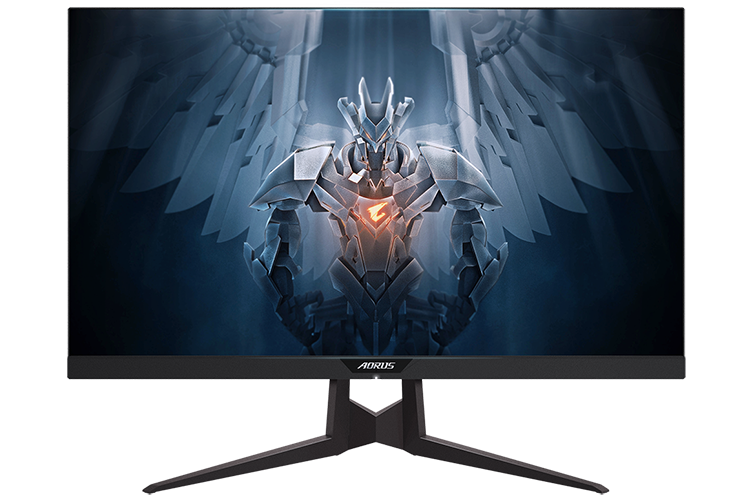 There has been no flickering or artefacts to report, with the AD27QD delivering silky gameplay in the 48 to 144Hz range. 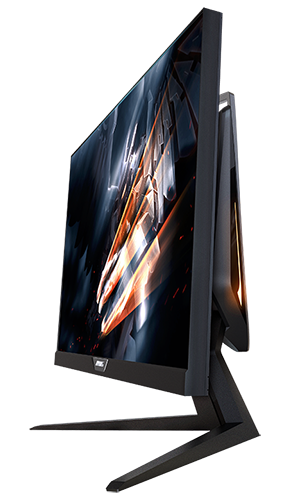 It has been hugely gratifying to properly enjoy a FreeSync monitor with the GeForce RTX 2080 Ti graphics card currently in our test platform, and to our pleasant surprise, LFC support continues to function as expected, with the monitor correctly inserting frames when the need arises. FreeSync on GeForce does work, and that's big news for a lot of gamers. Rounding out the specs, connectivity options include DisplayPort 1.2 (necessary for G-Sync to work), a pair of HDMI 2.0, USB upstream, two USB 3.0 downstream, and both headset and microphone jacks. A three-pin power cable provides the juice, and an integrated supply means no external brick. There's enough on offer, we feel, to justify the £535 expense, yet there's more to the AD27QD than first meets the eye.